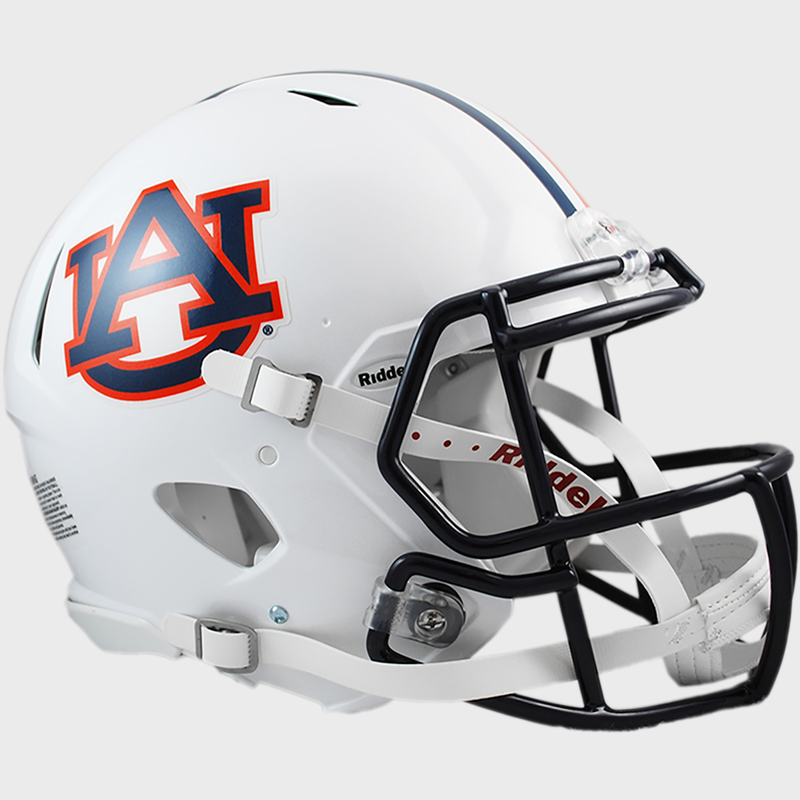 The Riddell NCAA College full size speed authentic football helmet is the most popular collectible football helmet for every College football fan. 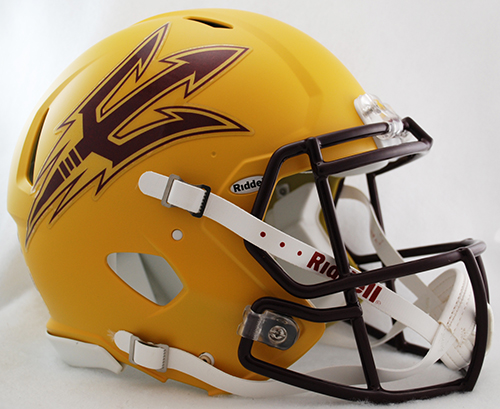 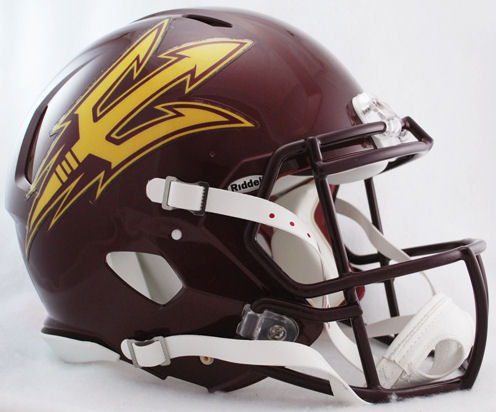 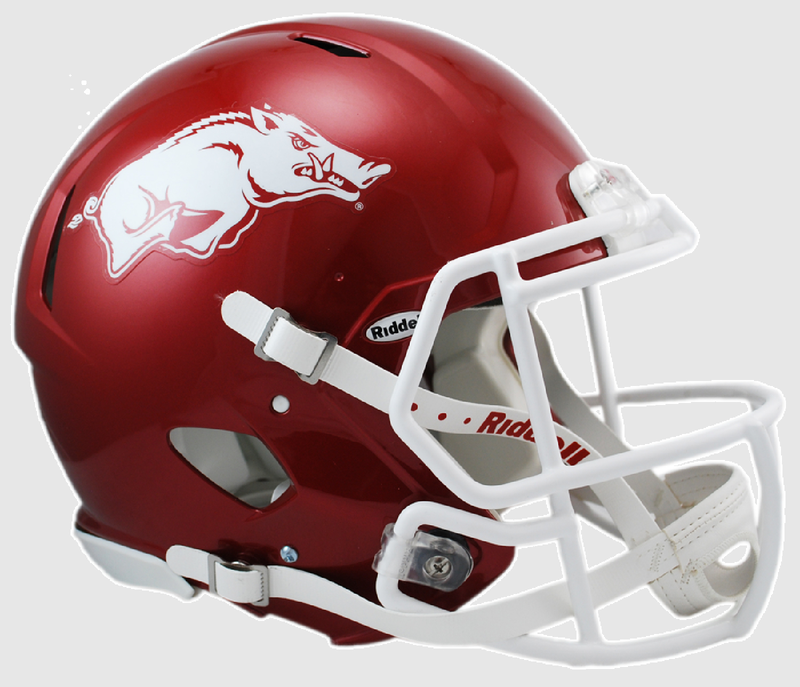 These full size speed helmets are perfect for autographs and collectors. 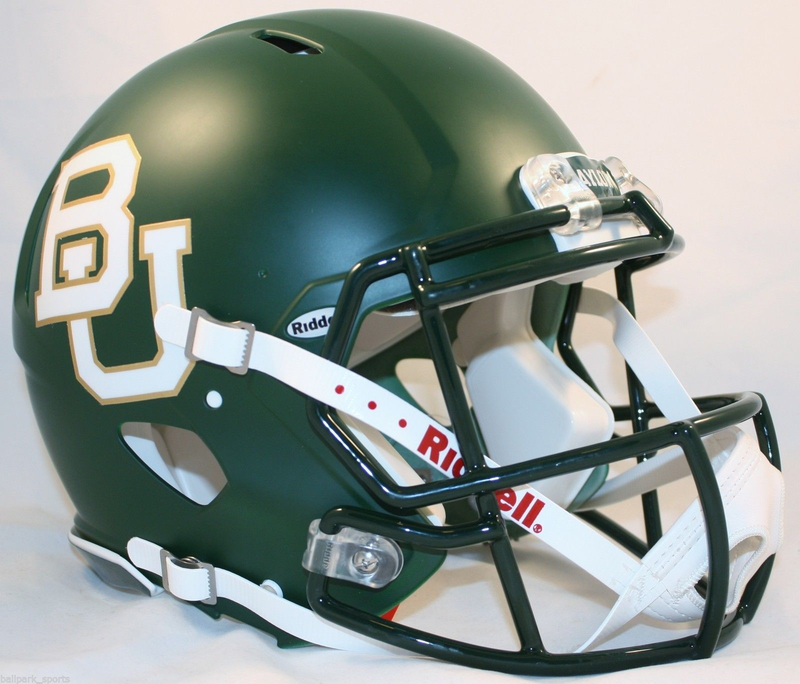 Each Riddell authentic speed football helmet are designed with extended mandible (jaw area) protection, a steel polyvinyl-coated face mask, chin strap, increased padding, an integrated facemask attachment system and elliptical air vents. 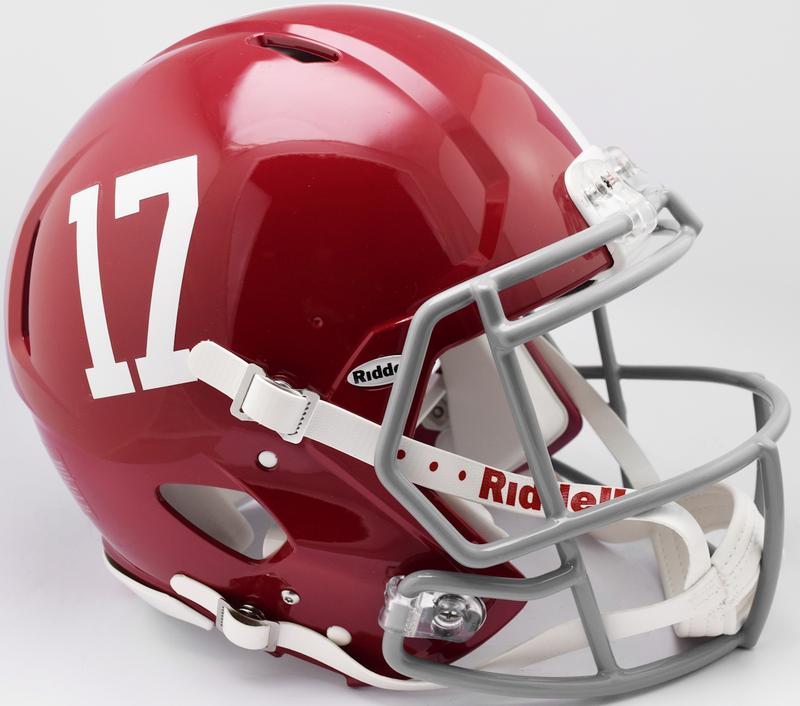 Each NCAA college speed football helmet comes with a team name on back bumper. 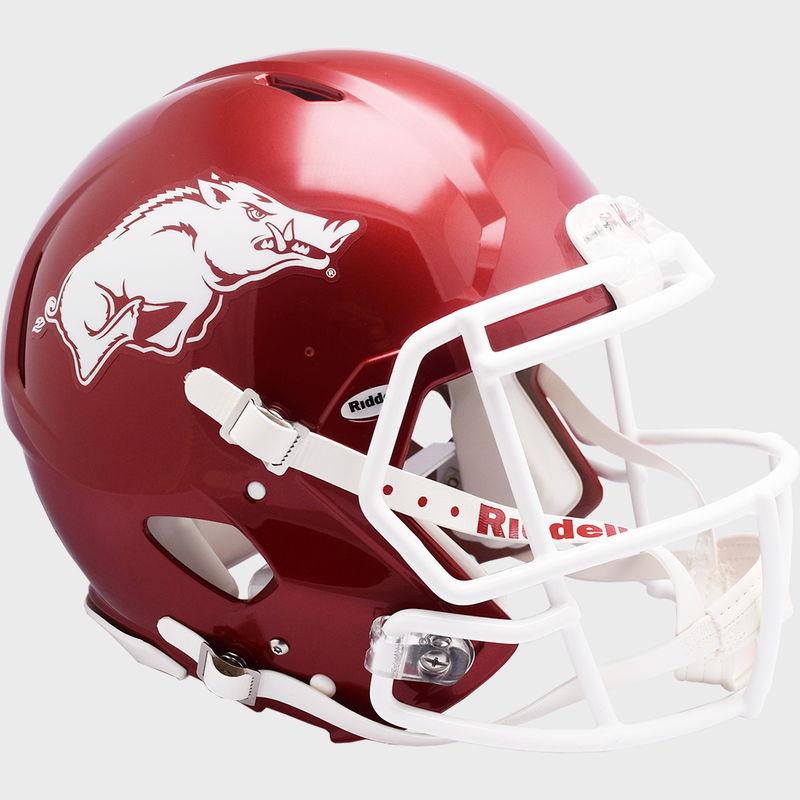 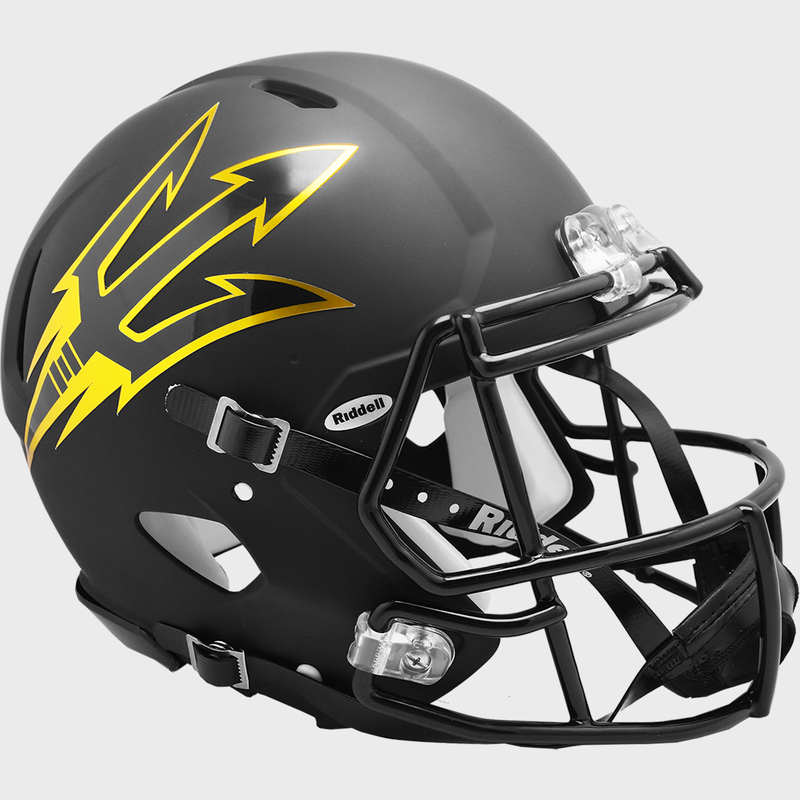 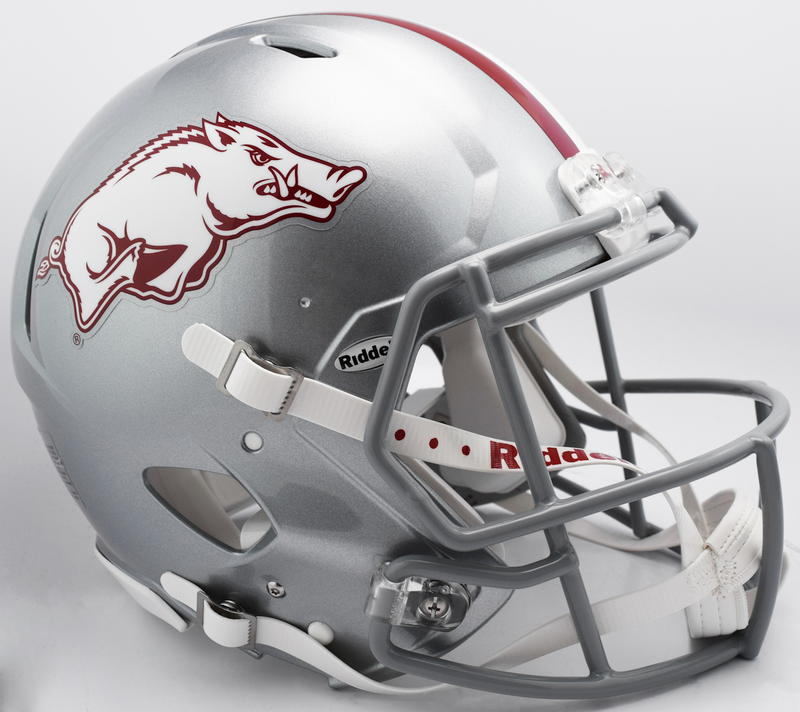 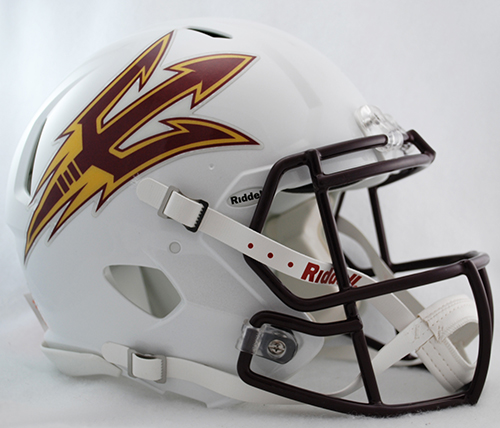 All our football helmets are officially licensed by the NCAA. 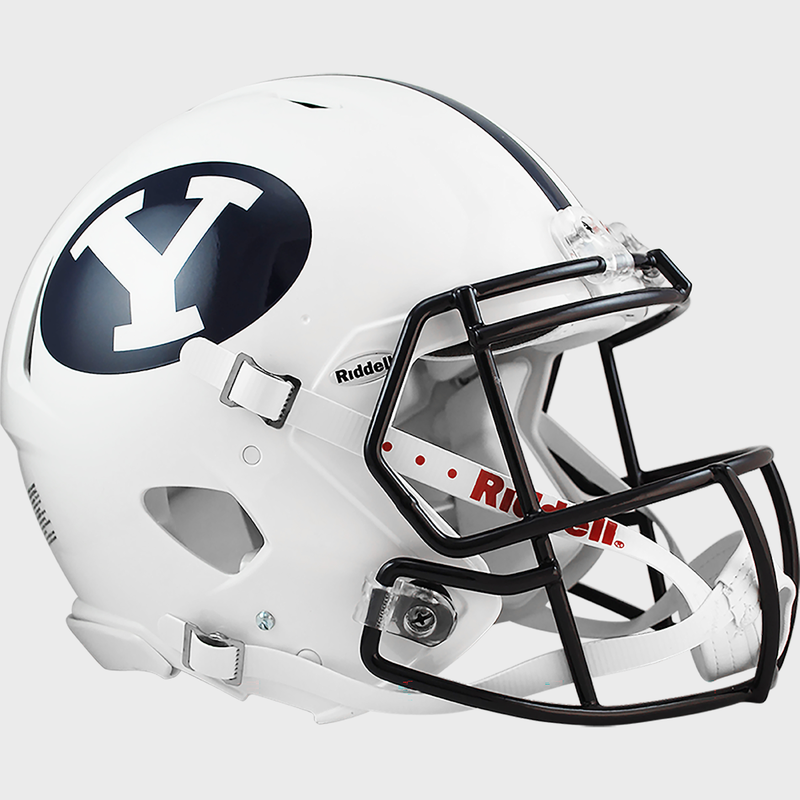 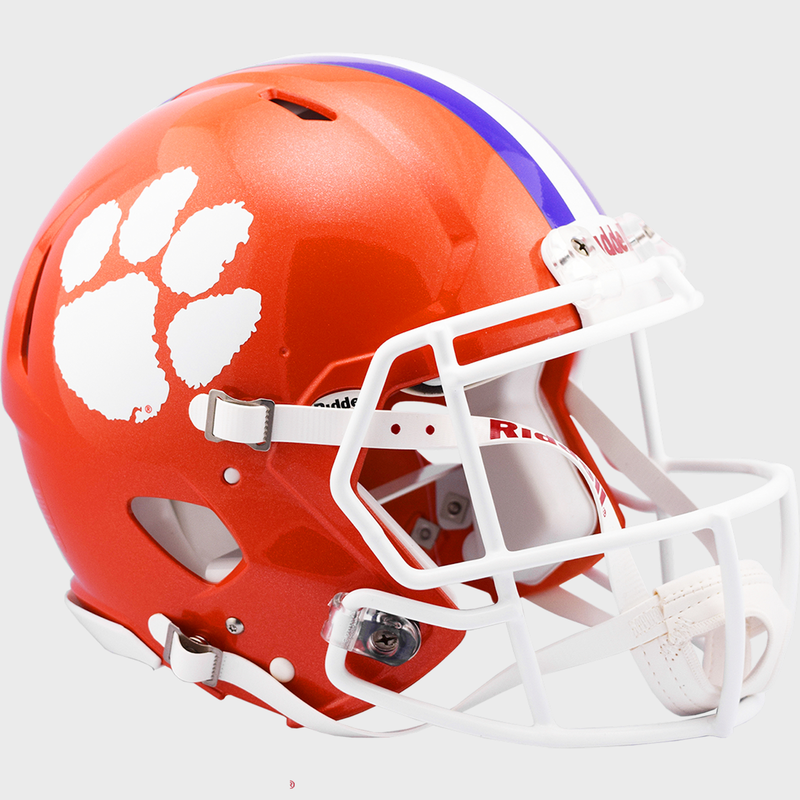 The NCAA college speed helmet sizes are, 13.5"(L) x 9.75"(W) x 10.25"(H).